Last week, Hawaii Govenor David Ige, launched the Western Governors’ Biosecurity and Invasive Species Initiative. 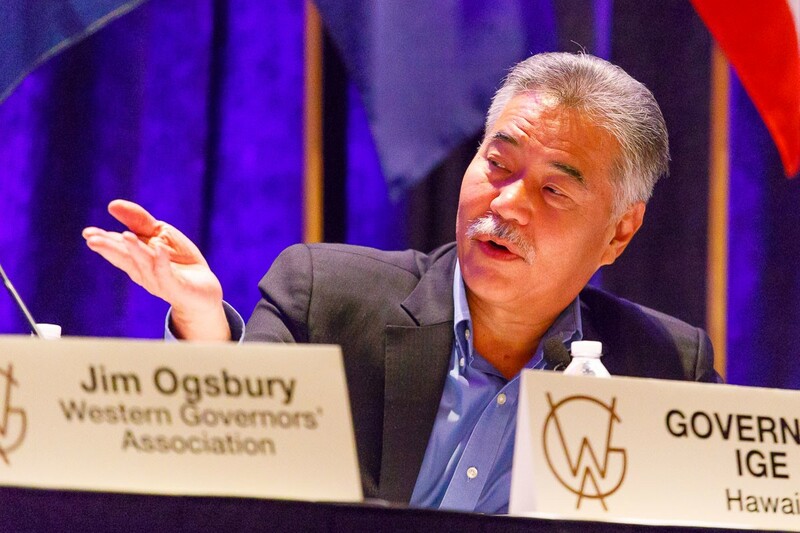 Govenor Ige is the 2019 Chairman for the Western Govenors Association which represents the Governors of 19 Western states and 3 U.S. territories in the Pacific. The initiative was announced during a webinar on July 12, 2018. The Initiative will focus on the impacts that nuisance species, pests and pathogens have on ecosystems, forests, rangelands, watersheds, and infrastructure in the West, and examine the role that biosecurity plays in addressing these risks. The webinar began with remarks by Gov. Ige highlighting the importance of invasive species management in the West, and the Initiative’s goals and deliverables. The goal of the Initiative is to identify emerging issues in biosecurity and invasive species management in the West and develop policy recommendations, best practices and technical tools to address those issues. The initiative will pursue this goal through a series of workshops across the West and utilize webinars and other tools to engage experts, opinion leaders and stakeholders in a deeper examination of biosecurity and invasive species issues. To learn more about the initiative and WGA you can visit: http://www.westgov.org/news/wga-chair-hawaii-gov.-david-ige-announces-biosecurity-and-invasive-species-initiative-july-12-webinar or watch the webinar link below.